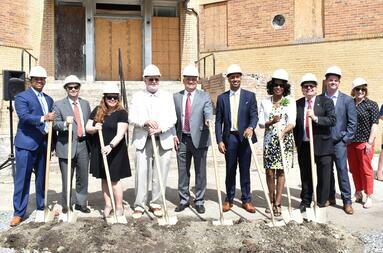 McCandlish Holton understands that the legal profession exists to serve the community. As part of our commitment to our clients and the community, we are actively involved in substantial outreach and pro bono legal services. Our firm strongly believes that all persons should be accorded with due process of law and access to competent legal counsel. Our attorneys are involved in more than 60 community organizations helping to end hunger, educate our youth, provide free legal services to active-duty military and their families, and afford access to medical care for impoverished children. These services demonstrate our continuing commitment to civil liberties and professional responsibility. Additionally, we encourage community involvement from all of our employees; and for that reason, we offer paid leave for employees to participate in volunteer activities with recognized charitable organizations. We sincerely hope that our civic involvement expands into new communities, cultivating abundant opportunities for our lawyers to partner for public good. 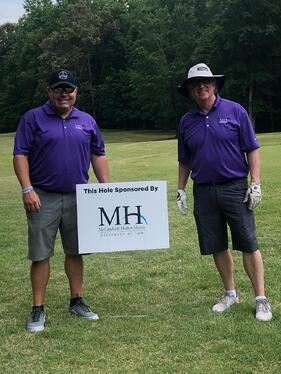 On June 20, a few members of our Workers' Compensation team and their clients participated in the Kid's Chance of Virginia's 7th Annual Golf Charity Classic. 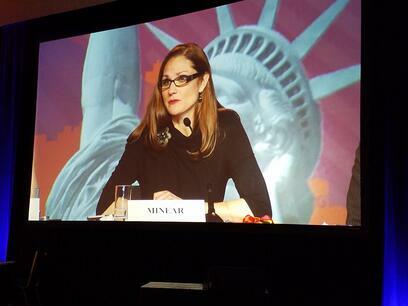 Firm Director Jennifer Minear spoke at the 2018 Annual Conference of the American Immigration Lawyers Association. At the conference, Jennifer was elected from Second to First Vice President of the AILA. Read the full event program here. 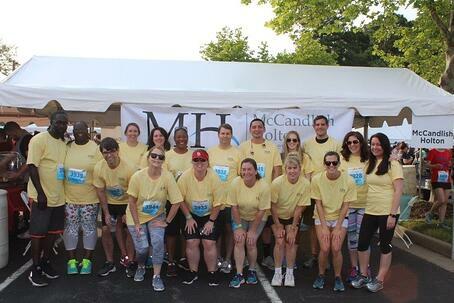 McCandlish Holton participated in the Anthem Corporate Run on June 7, 2018. McCandlish Holton is proud to serve as developer’s counsel for the rehabilitation of Whittaker Memorial Hospital in Newport News, Virginia. McCandlish Holton Director, Jennifer Minear, serves as second Vice President of the American Immigration Lawyers Association (AILA). 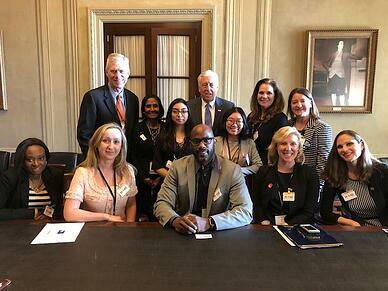 On Thursday, April 12, Jennifer participated in AILA's National Day of Action, lobbying lawmakers on Capitol Hill for productive immigration reform. Alana Ritenour was featured in the "Out and About" section of April's Virginia Business Magazine. 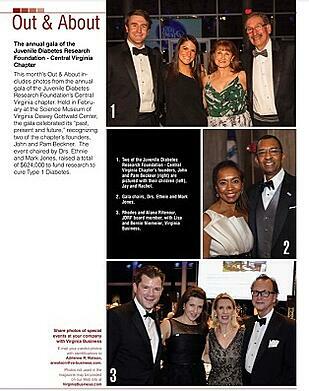 She is pictured at the annual gala of the Juvenile Diabetes Research Foundation- Central Virginia Chapter. She is a board member of the JDRF.